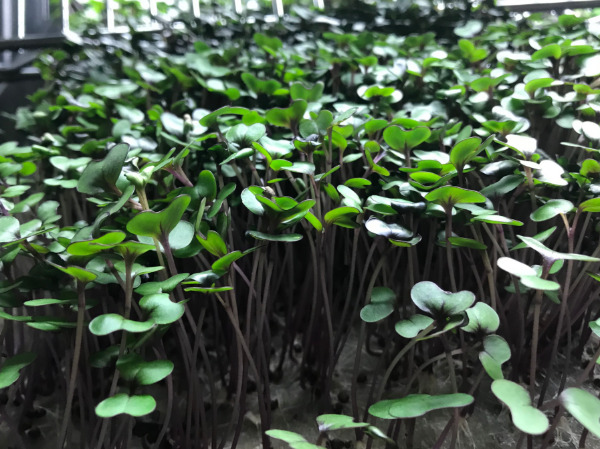 A beautiful petite red to violet stemmed microgreen with varigated shades of green leaves. Micro Cabbage has a strong broccoli (brassica) flavor and packed with vitamins C, K, and E, beta-carotene, and iron. Micro Cabbage actually is very popular addition to salad mixes. Pairs well with other brassicas and radish! A fantastic garnish! Q: Hi I’m looking for edible flowers are there any available? Thanks so much. A: I do not currently have any, but I could easily grow some for you if you let me know what you are looking for. Check out our FB page, Earth's Prime Online, and contact us to let us know! Thanks and have a great day!